How can you be in 2 places at once? Hire a brilliant team! This weekend Ballymaloe Foods will be exhibiting at 2 very different and very exciting events! Emer and Louise will be heading to the Teelings Whiskey Distillery for their Christmas Craft Fair. The event will take place at 13-17 Newmarket, Dublin 8 on this Saturday 3rd December from 10:30am-5:00pm. There will be a host of amazing stallholders there from Curabinny to The Hogfather and everything in between! We hope Emer and Louise have the will-power to resist the tempting Teelings Whiskey long enough to make lots of samples and sell some Ballymaloe Relish! 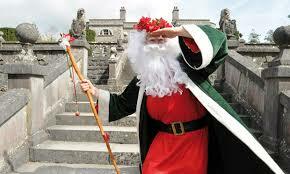 Meanwhile, Seibhe and Darren will be in beautiful Bray at the Killruddery Christmas Market. The month long festival will take place on every weekend from now right up to Christmas. Kicking off tomorrow, Saturday 3rd December from 9:30am-4:30pm at the exquisite Killruddery Estate on the Southern Cross in Bray, parking and entry are both free! Helping us get in the Christmas spirit will be loads of lovely Irish craft stalls and of course delicious food! Ballymaloe Foods will be there this Saturday and Sunday so if you are in the area please pop over and say hello!